Stand up straight and do something about that tailor! My father loved telling this story about the man who went to a tailor to have a suit made. After a week he comes back and tries it on. Do you have such a great tailor in your organization? I am often amazed at the desire for stability and fear of change (or fear of confronting tailors?) that leads organizations to keep their bad tailors and force everyone else to learn how to walk limping and contorted while still carrying a smile on their face. Instead of standing up straight to let everyone see that the tailor is not doing his / her job properly. In network terms this kind of situation often develops in two stages: First the tailor is a person who sits on a structural hole (connecting two parts of the network not otherwise linked), has some kind of responsibility not easily transfered and is in the position to function as a gate keeper or bottleneck. 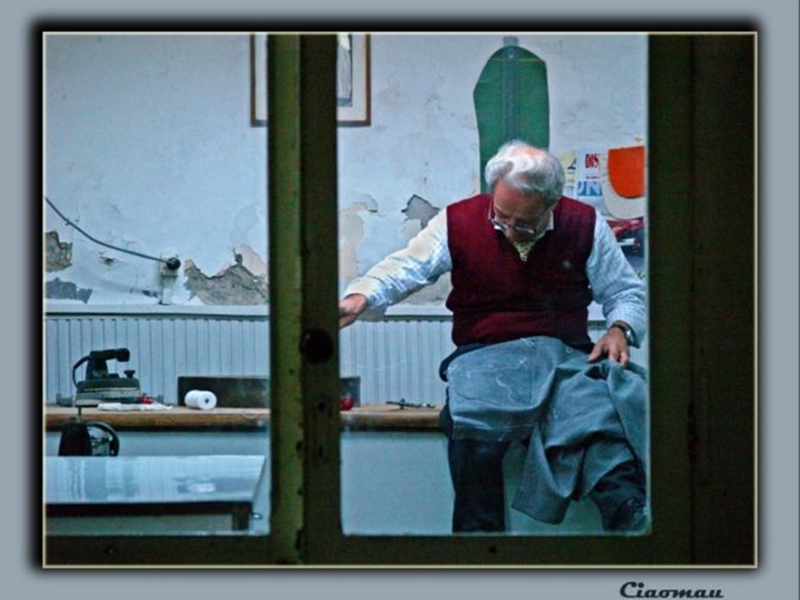 If the tailor turns out to be a bad one, there are two ways organizations tend to deal with this kind of situation: Either someone in a higher position of authority changes the situation by removing the person, working on improving their performance or building alternative procedures. Or, in case leadership does not act, you can see an interesting growth in the informal networks: Those people within the organization who have no authority to do anything about the situation, build informal bridges around the structural hole to continue being able to do their work. And because they know that the leadership is not supportive of changing the situation, they will make do, lift one shoulder, twist one leg, stick out their belly and pretend everything is just fine.